One of the most underestimated vulnerabilities of healthcare providers after a new system implementation or upgrade is an increase in DNFB volume. Accounts included in the DNFB list are, Discharged but Not Final Billed, for a variety of reasons. DNFB is a critical element within your revenue cycle, directly impacting the bottom line. Registration: Incomplete or inaccurate information obtained by patient access resources. Scheduling: Missed steps in the verification of patient information during scheduling. Coding: Waiting for documentation or dictation can contribute to accounts on the DNFB list. For example, if accounts were coded but were rejected during the initial claims-editing process because of an unrelated HIM element, such as an invalid revenue code. Charging: Services performed, but not charged in a timely manner. Case Management: Connects clinical and financial data—The inability to manage the utilization management work list efficiently can lead to delays in coding. Ensure your revenue cycle strategy begins with patient access. Becker’s recent article states that, “Physicians often grow frustrated by the administrative burden and delays in care that poor patient access creates.” It further explains how patient access services impacts hospital branding. Providers are beginning to realize that the traditional patient access model needs to be refined to incorporate contemporary patient access technology, quality assurance, and training programs that improve the accuracy and completeness of registration information. With anticipation and appropriate planning, organizations can reengineer their patient access departments and leverage each service component to align with organizational goals. This will increase cash flow, reduce denials, and enhance the patient’s overall experience. 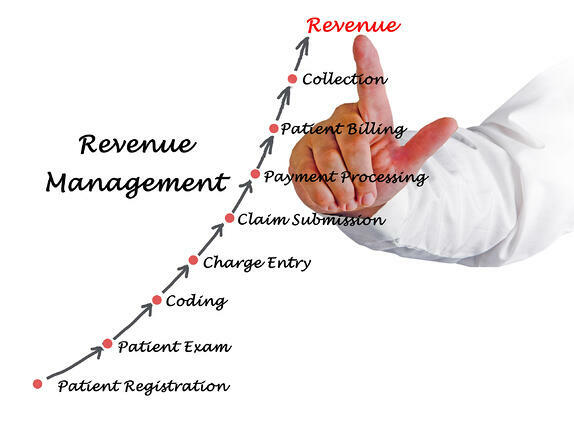 Streamline process automation with revenue cycle technology - healthcare providers should implement solutions that allow revenue cycle processes—such as coding, billing, contract management, and reimbursement—to be managed through streamlined technology. Invest in targeted training and adequate office staffing levels. Offer online resources and checklists specific to each area of work. For example, provide a pre-collection script and adequate training on how to use it effectively when calling patients. Assign dedicated resources to stay knowledgeable about industry developments that could influence revenue cycle processes. Maintain a quality Charge Description Master (CDM) to sustain an effective coding program and compliant billing practices. Embrace Analytics - HIM payment related delays can result when the DNFB segment becomes too large. Analytics technology can help HIM departments control this area and accelerate the release of claims to the billing department. Typically, technology can analyze accounts in a DNFB status to surmise the root cause for delay, determine improvements that will have the greatest impact, and recommend action items and initiatives to reduce the DNFB volume. HealthLeaders Media published the specifics of how a Louisiana hospital improved their cash flow by $2.4M. To become the debt free hospital they are today, the hospital harnessed analytics to eliminate manual processes for DNFB accounts and increased their operational efficiency by 95%. Are you utilizing embedded and/or third-party software to optimize processes? How can business offices help? Create a plan that considers your current issues, root causes, remediation options, and ways to measure your progress. Perform (or revisit) a current state review of your processes, workflows, and tools. Identify the length of time physicians take to complete dictations for reports and patient care. Review staffing issues, expertise levels, and coverage for vacations and holidays. Involve leadership and key staff members involved in day to day operations for their input. Obtain buy-in from your executive leadership team and schedule checkpoints to discuss progress. of getting the information as soon as possible. Create a structure to drive accountability. Use analytic reports to assist with the identification and measurement of key performance indicators (KPI’s) contributing to DNFB. Healthcare Financial Management Association (HFMA) provides 29 MAP Keys, or strategic KPI’s for hospitals, health systems, and physician practice management groups, which are industry– standard metrics to track your revenue cycle performance. Once a solid plan is in place and changes are initiated, continue to monitor and adjust as necessary. This will continue to grow the program and decrease your DNFB volume and outstanding A/R days. At each moment of success, pause and celebrate your plan! Facing your own DNFB or other revenue cycle dilemmas? National Rural Health Resource Center (2014). Rural hospital performance improvement (RHPI) project: Best practice concepts in revenue cycle management. Shelli-Ann Jackson offers 19 years of healthcare expertise, currently serving as a Digital Marketing Specialist at ROI. Since 2000, she has been fortunate to work in quality healthcare and IT roles. She is a dedicated RN with a proven record of high performance in nursing leadership, informatics, training, full cycle clinical and non-clinical system implementation, and project management. As a Thought Leader for ROI, within Healthcare IT Services, she offers unique perspective that bridges the knowledge gap between clinical, IT staff, and the community. 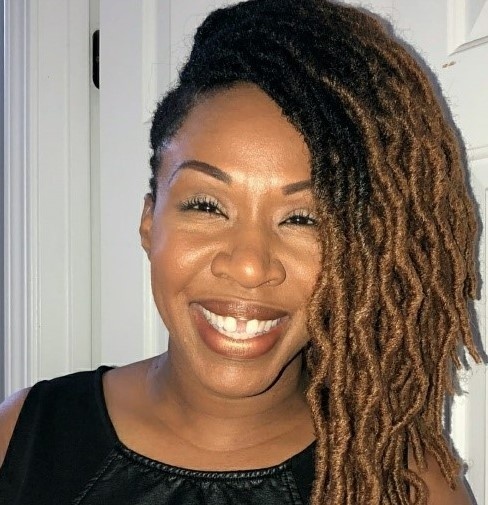 A two- time graduate of Molloy College in NY, Shelli-Ann holds a Bachelor of Science degree in Nursing and a Master of Science degree in Nursing Administration and Informatics.